Being born and raised in Canada, Old Man Winter is just another member of the family. We have become accustomed to cold temperatures, mountains of snow and treacherous ice conditions. It is part of the Canadian seasons, and like everything has its pros and cons. Personally, I love the beginning of winter. The crisp cold feeling in the air, the serene stillness of a white winter morning, the excuse to stay bundled in the house guilt free. But as the cold trenches on, the patience withers thin. As much as the snowy activities can be a blast, the bone chilling winter months can lose its luster quite quickly. Especially when it comes to your home! 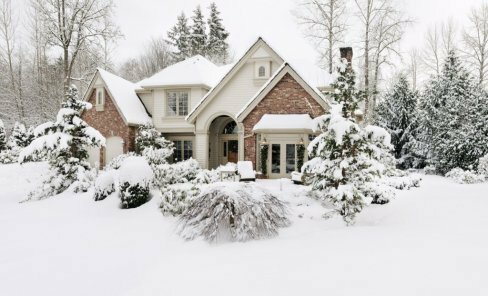 If the constant shoveling wasn’t maddening enough you will notice other annoyances around your home during the winter season. Working in the home improvement industry, one of the main calls we receive in the winter are customers concerned about their windows leaking all of a sudden. This is what we refer to in the business as “window seating”. Window Sweating is interior condensation forming on your window. It will appear as a fog or a frost on the inside windowpane, but sometimes it can actually pool water on the glass and appear as if you are getting a leak from the outside. This issue is caused in the winter when the warm air in the house condenses on the cold window glass. As much as this winter nuisance is annoying, it can also be treated with quick fixes on your part to avoid causing any further damage to your home (in severe cases). If you are having issues with pesky “Sweating Windows” try these simple tips to fight back on the winter blues! *If you use a humidifier, turn it down. 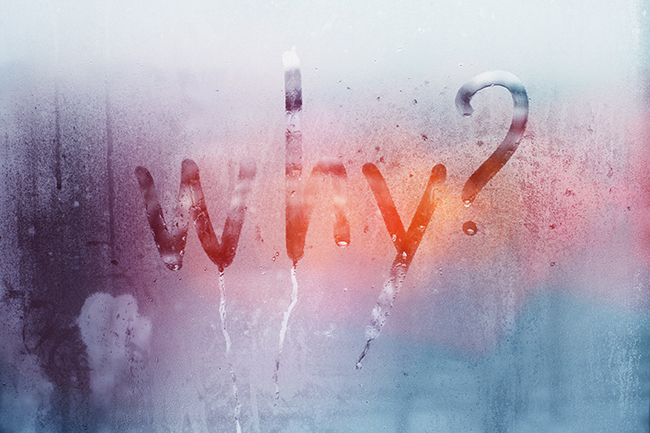 As much as a humidifier may help with dry skin and lips, releasing extra moisture into your home isn’t going to help an issue with window sweating. Simply turning the humidifier down will release less moisture into the air and that will help reduce the condensation getting at your windows. *Use Kitchen and Bathroom Exhaust Fans. Cooking and showering releases a lot of extra moisture into the air, by keeping fans on, during, and even 15-20 minutes after these activities, you will help remove any excess moisture in the air. *Turn on Ceiling Fans. Most people turn off their fans in the winter season, but the trick isn’t about turning them off, but changing the direction of the fan. Make sure your fans are rotating clockwise during the winter season and are set on a low speed. This action pulls the cool air up, and the gentle updraft pushes warm air (which naturally rises to the ceiling) down along the walls and back down into the room. Not only will this help your room feel warmer but keeping the air circulated in your home also helps with growing condensation issues. *If your home has a traditional fireplace make sure to open the damper to help allow moisture to escape. Also make sure all venting from burners and clothes dryers are directed to go outside. *If it’s not too cold outside open your windows from time to time to help release some of the moist air trapped in the house. *Blinds, curtains or drapes can be closed to help raise the temperature of the actual window, to reduce condensation on the cold glass. Slightly increasing the temperature on your thermostat can also help. *Move your plants. Plants release moisture into the air; if you have a number of plants near your window causing you trouble, try relocating them. *Purchasing a dehumidifier can help. It will cost you a couple of bucks but if the windows are pooling that much water it will save you money in the long run if you are concerned about water damage. De-humidifiers also come in mini sizes if only certain areas of your home are giving you grief! *If all else fails, you may need to replace the windows. Older windows can be colder and draftier when compared to new energy efficient windows. New windows have a warmer glass area and will have little to no condensation on the glass. If the above tips haven’t helped, and you live in the Windsor/Essex area and think you may need new windows, Diamond would be happy to assist you. Give our office a call at 519-966-7311 and we will gladly send out one of our Renovator Experts to give you a free estimate and answer any questions you have!